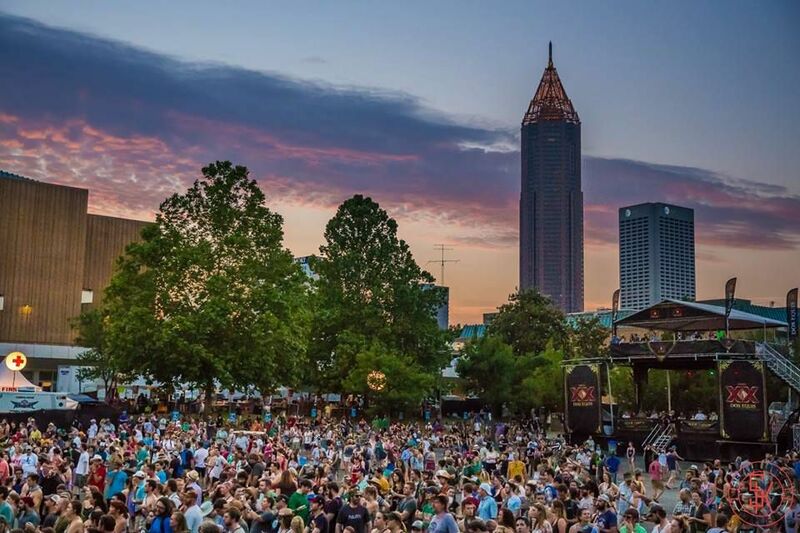 Since its inception in 2013, Shaky Knees Music Festival has become one of Atlanta’s most anticipated annual events, not to mention one of its most popular music festivals. The brainchild of music promoter Tim Sweetwood, this three-day festival has become the region’s go-to indie-rock music festival thanks to a jam-packed lineup of diverse acts featuring everything from fresh faces (think Tyler Childers, Strand of Oaks and Lucy Dacus) to chart-topping mainstays (the likes of Beck and Tame Impala). Now held in Central Park in the Old Fourth Ward neighborhood, the 2019 festival will take place May 3-5. At his core, Sweetwood is a self-proclaimed music dork—just see the My Morning Jacket album cover he has tattooed across his back for proof. After 10 years promoting shows for the Earl—one of the city's best spots for live music—and similar venues in Atlanta, Sweetwood was primed to take the entrepreneurial leap into the festival world. “It was valuable [experience] because of the relationships [I’d made] with agents, managers, even the bands themselves,” says Sweetwood, who admits he was friends with nearly 75 percent of the bands who performed the first year at Shaky Knees. After two successful years producing Shaky Knees, including growing attendance from just 9,000 in 2013 to an astonishing 66,000 in 2015, Sweetwood decided to expand his brand with the first Shaky Boots Festival in 2015. “Boots came along because there was no other country fest in Georgia and that kind of baffled the mind,” says Sweetwood of his foray into the genre. “It was extremely successful in the lineup, the bands that were there, the product that was given and the reception folks had. Financially, it just didn’t hit the mark,” admits Sweetwood about Shaky Boots, which is now on hiatus. Interestingly, Sweetwood says Shaky Boots’ financial downfall was due, more than anything, to the culture of the country-music genre. Unlike other genres, in which musicians tour sporadically and usually by bucketing small regions, country musicians tour widely throughout the year. This gives audiences plenty of opportunities to catch a show by Miranda Lambert, for example, and lessens the value proposition of a festival. Like any entrepreneurial endeavor, growing the Shaky franchise is about taking risks, and some are bound to strike the wrong chord. While Boots may not have panned out, Shaky Beats Music Festival, taking place the weekend after Shaky Knees in the same location, has been a success and will appeals to Atlanta’s well-established audience of EDM and hip-hop festival-heads. Electronic music brings with it a more competitive market than the country or indie-rock genres thanks to hugely popular festivals like Imagine Music Festival and TomorrowWorld.